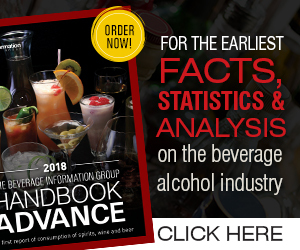 Beverage Wholesaler - December 17, 2018 To view this email as a web page, click here. Diageo today announced its intention to build a new distilled spirits manufacturing facility in Kentucky, to support its growth ambition in the bourbon and American whiskey categories. This project will represent a further investment in Kentucky’s spirits industry of $130 million over three years. The proposed facility will consist of a distillery, dry house and warehousing in Marion County’s Lebanon, Kentucky, with the capability to distill a variety of Diageo bourbon and American whiskey brands. This facility will supplement the company’s other Kentucky operations: Stitzel-Weller in Louisville, and The Bulleit Distilling Co. in Shelbyville. Wine has become a popular investment for celebrities. But it’s not always a profitable one. There is an old adage: The best way to make a small fortune in the wine business is to start with a large fortune. Making money in wine can be challenging. You must purchase (or source) the right vineyards from the right appellations, have the right winemaker, plant the most-marketable varietals, have the right marketing and sales team — and Mother Nature must cooperate. It is very expensive. One of the wineries that I represent in my portfolio has been selling Kevin O’Leary Fine Wines. I was asked to represent the brand in Pennsylvania. Readers will know Kevin O’Leary as Mr. Wonderful from his 10-season tenure on CNBC’s Shark Tank. I sampled his wines, which were delicious, and it was clear that they were making a significant commitment to the brand. Don’t miss your chance to nominate a retail account for the Beverage Dynamics Top 100 Retailers Awards! Submit a nomination form at BeverageDynamics.com/Top100 to recognize your best accounts. Requirements: Develops, trains and directs sales reps to achieve sales goals, and placement objectives and to ensure company standards are met.